Organic Power Kale seeds perfected for indoor growing. 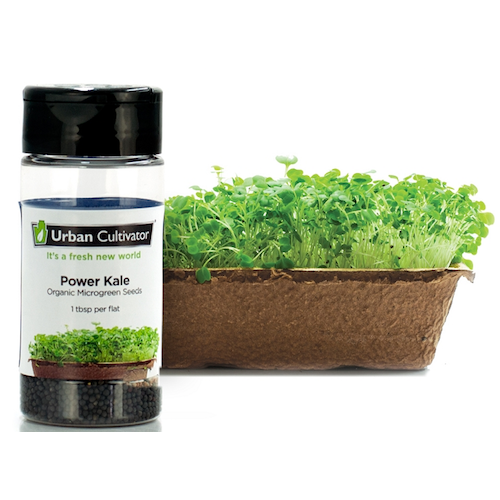 Grows four flats of Power Kale microgreens. It has more iron than beef per calorie. Iron is essential to the formation of hemoglobin, transporting oxygen to various parts of the body. It also plays a part in cell growth, proper liver function, and more. Studies have shown that the high vitamin K content in kale may assist those suffering from Alzheimer’s disease, and even help protect against various types of cancers.